Personally, the best part of both of these tweets is that they roll with the hashtag #yesitsachristmasmovie. The question of whether or not Die Hard is actually a Christmas movie has long been a fun debate on the Internet and in households across America. The Goldbergs even did an episode on Die Hard tied to the holiday this year. Bruce Willis himself has joked about Die Hard not actually being a Christmas movie and I suppose the actor would have the most weighted opinion on the matter. 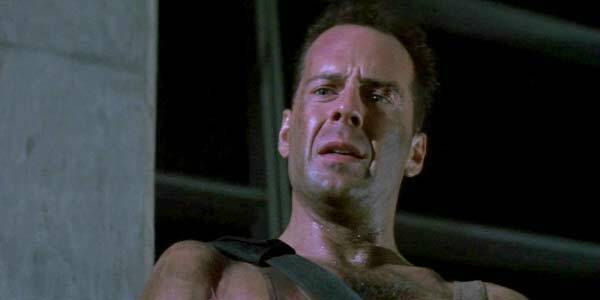 However, Steven E. de Souza, who wrote Die Hard, has come out to say he does believe the flick is a Christmas movie. Regardless, this is one debate that will be unlikely to ever really be settled, no matter what evidence or arguments are eventually presented. In fact, keep ’em coming. And yippee ki yay Merry Christmas to the NYPD and LAPD.